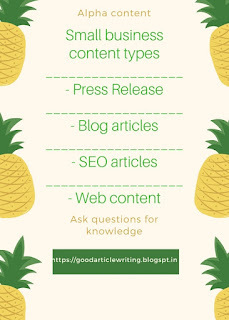 Content writing is one of the top most requirements online. Almost everyone who is either in business or have a career online, need content marketing. So, where exactly, the process of content writing begins. Do you have a content plan before writing? Having a content plan gives a route map for starting off easily. There could be many angles of a topic to discuss, but writing unique aspects that inspires, encourages and meets the needs of reader, is the most compelling aspect of content. Lacking this, many websites and blogs poorly perform and finally writing is a mere waste of time. So, what are the prominent and crucial areas of content plan?